The south Alicante area is a favourite destination for holidaymakers and second home owners. They love the 320 days of sunshine a year, sports especially water sports and golf, as well as the fabulous beaches. Now is an ideal time to buy in Spain. Prices are competitive and the pound is looking strong against the euro. Traditionally prices to the south of Alicante have been lower than those in the north. But this is changing with homes now costing much the same wherever you go. Heading inland a bit can save you money compared to buying a property in a popular beach resort. However Taylor Wimpey España has developed a beautiful urbanisation just a few metres from the beach at Punta Prima, Torrevieja, at a great price. Torrevieja is a bustling, cosmopolitan beach resort with one of the finest sports centres in Europe. Torrevieja Sports City has a football pitch, rugby pitch, tennis courts, basketball courts, running track, gym, swimming pools and more. There are also two marvellous salt lakes on the outskirts of Torrevieja – one of which is pink and the other is blue. Just south of Torrevieja is the popular Zenia Boulevard shopping mall with 150 shops, restaurants and a casino. Shops include Primark, C&A, Zara, Mango and Guess. The beachfront apartments La Recoleta at Punta Prima have access to the sea. There is a choice of two or three bed Mediterranean-style apartments with two or three bathrooms and private terraces, where you can enjoy the tranquil sea views. The complex has wide avenues leading to the beach and immaculate communal garden areas. Punta Prima is 10 minutes by car from Torrevieja and just 35 kilometres from Alicante international airport. If you plan to spend a lot of time playing golf in Spain, why not invest in a property on a course? Taylor Wimpey has a new development, Las Brisas de Alenda, on the Alenda Golf Club in Monforte del Cid. This is a fabulous location, just 10 minutes by road to Elche, Alicante and the airport. With such great road links, you can enjoy many long weekends in your Spanish home – or make the move to live here permanently. 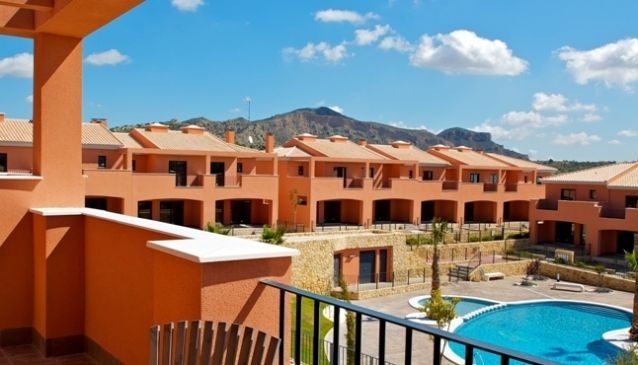 Although just a few minutes from the beach, Alenda Golf homes are surrounded by beautiful countryside at the foot of the Sierra de Aguilas mountain. Las Brisas de Alenda complex has 41 terraced houses with landscaped gardens and a shared pool. Some properties have direct access to the golf course while others enjoy fabulous mountain views. The homes have three bedrooms and two bathrooms plus spacious terraces and gardens to create an exclusive, private and peaceful complex. Prices are from €145,000. It’s handy for visiting Elche which has the largest palm grove in Europe with more than 200,000 trees. The historic city also has an impressive basilica and museums to visit. Alicante has a marvellous castle where you can enjoy great views over the Mediterranean, a bustling indoor market selling fresh fish, meat and vegetables, impressive art galleries and great shops. 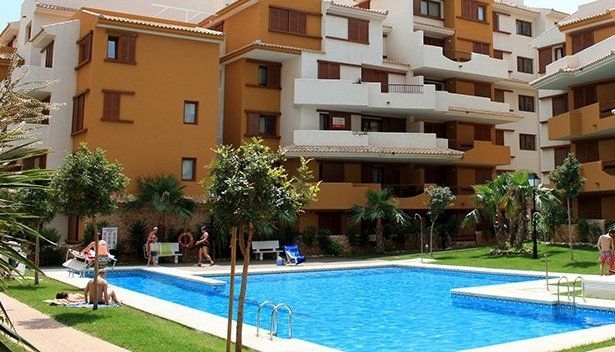 For further details of these properties, contact Taylor Wimpey on www.taylorwimpeyspain-com or phone +34 971 706 972.